If your television viewing habits run the spectrum from grizzly bears that eat marshmallows and lowland gorillas struggling for survival, to relocated elephants and having a zoo in your own backyard, Nat Geo Wild may be just for you. Launched in the US on March 29, the channel becomes the second in the National Geographic domestic portfolio, and takes over the space occupied by the Fox Reality Channel. At last count, that now-defunct network reached about 50 million homes. The new channel will be simulcast in both standard and high definition, and its core focus will be natural history on a global, yet intimate scale. The stories of explorers, scientists and filmmakers--with a good use of new technology--will be the core of the channel. Since there are so few wildlife slots on the National Geographic Channel (NGC), says Bridget Whalen, vice president of development, "Wild is an opportunity to focus on a core genre." A spin-off of the National Geographic Channel, Nat Geo Wild also taps into one of the missions of the National Geographic Society--to inspire people to care about the planet--against a growing tide of worldwide challenges facing wildlife. Adds senior vice president Geoff Daniels, "It is unique and an extension of the Society. There are a million stories in the wild world, and we want to tell them." Nat Geo Wild has been one of the fastest growing channels internationally for National Geographic. It has existed in 50 countries since 2006, when it premiered in Hong Kong. "We're going to take something proven and popular and give the viewers more of what they want," explains Daniels. "The programs know no borders. They have universal appeal." Daniels, who has been with Nat Geo for more than a decade, is in charge of programming and anticipates that Nat Geo Wild will be one of the "largest launches in US cable history." He adds, much like in the natural world, "When the opportunity comes along, we have to grab it. The time is right. With all the challenges in the natural world--issues of sustainability, preserving wild places--there is a global zeitgeist; people want to make an impact." The consistent success and growth of National Geographic Channel in the US has pushed the arrival of Nat Geo Wild, says Whalen. "Its ratings have grown for seven straight years--something no other channel can claim since its launch." The channel has also earned 24 Emmy nominations over the past two years. Wild, like the Channel, "is important to co-owners News Corporation and National Geographic Ventures," adds Whalen. It is hoped that revenue from the new channel can help fund some of the Society's science programs as well. The Wild line-up during the first few months includes both series and one-offs. Shows can be hosted, or not. "We want real ambassadors to the brand," Daniels explains. "They would be doing this activity without the cameras around. They also should have an understanding of animals that no one else has." Naturalist Casey Anderson is "a great example of the kind of person we're looking for," says Daniels. He and Whalen are both thrilled with the series Expedition Wild with Casey Anderson (Prod. : Grizzly Creek Films; Exec. Prods. : Leslie M. Gaines, Mailande Becker Holland, Thomas Winston), about Casey's life with Brutus, an 800-pound grizzly bear he's raised since Brutus was a cub. "Casey's amazing and has a unique connection to the wild," adds Daniels. The idea for the pilot show, Expedition Wild, came to Whalen through a speed pitch at the Jackson Hole International Wildlife Film Festival by Grizzly Creek Films. "We are definitely open for business to producers, and want to let them express their vision," says Daniels. "We're producer-friendly and committed to original programming." Wild, like most channels, is open to commissions, co-productions and acquisitions. It also will air some shows previously seen on National Geographic Channel. Another key series for Wild is My Life Is a Zoo (Prod. : JWM Productions; Dir. : Aziz Isham). "It's rare when someone pops off the screen," says Whalen. The show follows Bud DeYoung and Carrie Cramer, who oversee more than 400 animals-in their 80-acre Michigan backyard. Among the residents in the little zoo are endangered tigers, bears, wolves, pigs and reptiles. "The couple is accessible and entertaining, and provides us with access to issues related to the wild world," Whalen notes. One-off Shark Island features National Geographic emerging explorer Enric Sala. 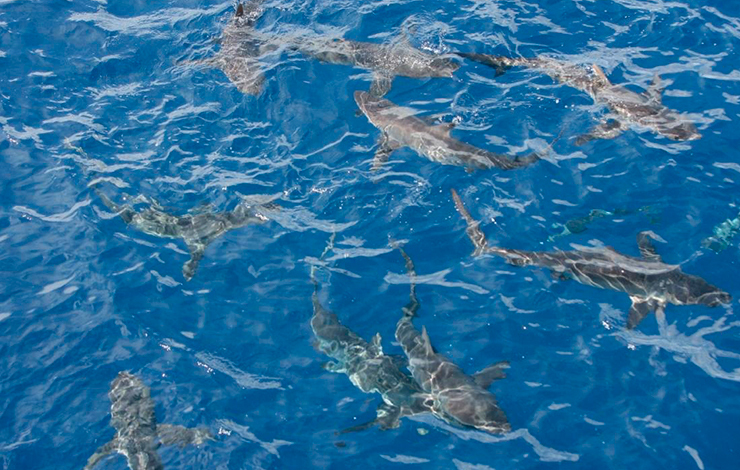 The hour features his high-tech exploration of the massive shark populations found around tiny Cocos Island, located 300 miles off of Costa Rica. The film aired as part of an Earth Day Oceans Event on Wild. The film also features National Geographic explorer-in-residence Sylvia Earle. "This program really fulfills the mission of the Society, and it's great TV," Daniels maintains. "It also can do some good." In fact, after a screening of the film in Costa Rica, the government there is looking to protect more of its waters. Mystery Gorillas (Dir./Prod. : James Manfull) features another National Geographic Society emerging explorer, anthropologist Mireya Mayor, as she studies a previously unknown population of lowland gorillas deep in the forests of the Congo. Africa's Lost Eden looks at the mission to restock the wildlife after years of civil war in Mozambique, in an area known as the place "where Noah left his ark." "Our shows must be commercially relevant but have a mission," Daniels explains. "We are absolutely committed to that 120-year-old unique brand and legacy that is National Geographic." Daniels thinks that legacy gives Wild an advantage over any competition. Rebel Monkeys (Dir. : Allison Bean; Prod. : Colin Collis) also fits right in with the brand, he says. The half-hour series about the rhesus macaques of Jaipur, India has no host, yet "captures something appealing and worked well previously internationally," according to Daniels. The series follows a rambunctious band of 60 primates as they struggle for survival in an urban setting. Story pitches for Wild are handled by Whalen's team, the same people who develop content for National Geographic Channel. "That is a real strength and gives us a clear purpose," she maintains. That might help Wild not fall into the muddle that often occurs between the Discovery Channel and Animal Planet, with separate development teams both pursuing animal programming. The primetime demographic for Wild is the usual: 25-to-54-year-olds, skewing more towards males. But that's not the only audience Wild is interested in; "Being family-friendly is key," adds Daniels. The television landscape is a crowded marketplace right now, but that doesn't bother Daniels. Within the first year of the new channel's launch, "We want to firmly establish Wild with National Geographic Channel as a great one-two punch, and a competitive force." In five years? "We want to be globally dominant and commercially successful while staying true to the brand, and continuing to inspire folks to conserve." When not out making docs, Lauren Cardillo is involved in the work required to raise a wildlife group comprised of two daughters and a pet rabbit. For more information, please visit, www.themotherroad.tv. Locating the Sweet Spot: What Will TV Channels Pay for Your Doc?